For episode 60 we have the first ever live Crosshairs Radio recorded Saturday, January 7, at BiCi Co. in Hartford, Conn. 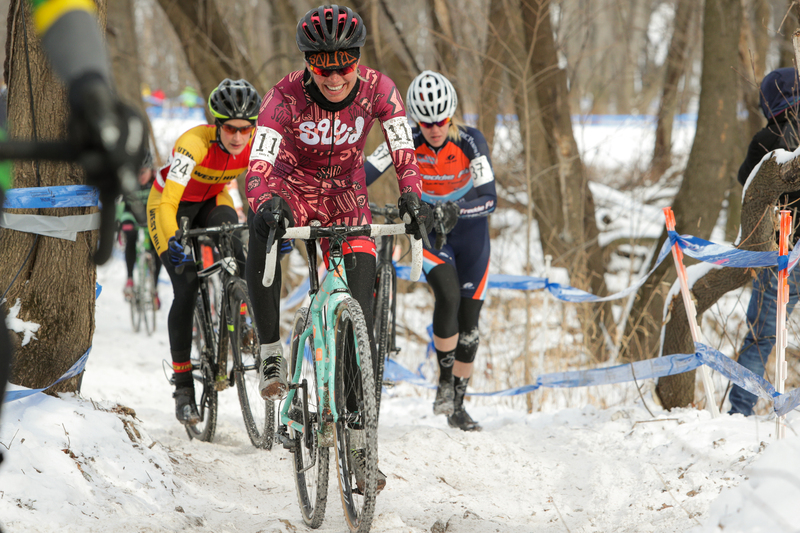 In town for U.S. Cyclocross Nationals, Bill, Spencer Haugh of The Slowride Podcast and Emily Kachorek of Squid Bikes, braved the ice and snow to talk all things cyclocross. Thanks so much for everyone who made it out to the event. It was a blast to put on and we look forward to more live events in the future. For those listening at home, thanks for tuning in. If this is your first time listening, you can explore the rest of our episodes here. You can support the show and this site by checking out our swag at www.crosshairscycling.com/shop. Also visit www.cyclocrossbook.com to get your copy of Skills Drills and Bellyaches: A Cyclocross Primer. Please visit Health IQ at www.healthiq/cxhairs. Also check out icksnay.myshopify.com to get a cyclocross toque and scarf. Emily Kachorek is on Instagram at @eekachorek and Twitter at @emilykachorek. Spencer Haugh is on Twitter at @spencerhaugh.